President Obama’s 2011 budget proposes to eliminate nine different tax expenditures that primarily benefit oil and gas companies. Cutting these special tax deductions, preferences, and credits would save the government about $45 billion over the next 10 years. CAP has previously argued for eliminating tax expenditures for multibillion-dollar oil companies such as BP, ExxonMobil, and Chevron that would be profitable even without government subsidies. Here are the tax expenditures that the Obama administration has targeted for elimination. 1. Intangible drilling costs. 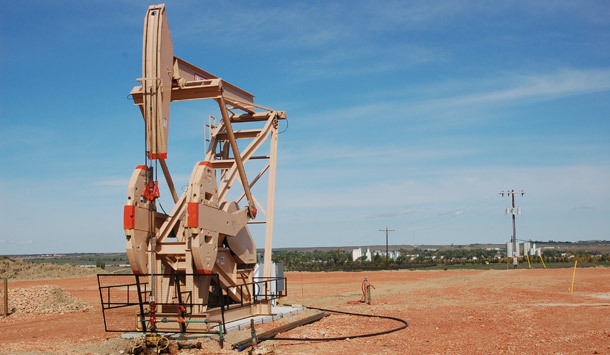 Firms engaged in the exploration and development of oil or gas properties may expense (deduct in the year paid or incurred) certain types of drilling expenditures from their taxes. These costs include wages, fuel, repairs, hauling, and supplies related to and necessary for drilling and preparing wells for the production of oil and gas. Other companies incurring similar types of costs must recover this cost over the life of the investment. The administration expects that eliminating this subsidy will produce budget savings of about $7.839 billion over 10 years. 2. Deduction for tertiary injectants. Tertiary, or enhanced oil recovery, methods increase the amount of oil that a company can extract from a well by an additional 5 percent to 15 percent according to some research. This tax expenditure subsidizes the costs of tertiary injectants—the fluids, gases, and other chemicals that are pumped into oil and gas reservoirs as part of this process. The subsidy essentially gives companies government money for acting in ways that will enhance their profits. It allows companies to expense the costs of tertiary injectants, even though such costs should be recovered over time. Companies can alternatively choose to deduct these costs as an intangible drilling cost.The administration expects that eliminating this subsidy will produce budget savings of about $67 million over 10 years. 3. Percentage depletion allowance. Percentage depletion allows an independent oil company to deduct from its taxes about 15 percent from the revenue generated from a well, even if that amount exceeds the well’s total value. This means that oil companies take a deduction as long as a well is producing oil, without regard to how much, or whether, the well is still declining in value. Companies in other industries are only allowed to deduct an amount that represents the decline in their investment’s value that year. The administration expects that eliminating this subsidy to produce budget savings of about $10 billion over 10 years. 4. Passive investments. The government generally only allows investors to deduct a limited amount of losses from “passive activities” such as renting land in order to prevent tax shelters. Yet oil and gas properties are exempt from this rule. This gives oil and gas companies a competitive edge over other types of energy companies. The administration expects that eliminating this subsidy will produce budget savings of about $180 million over 10 years. 5. Domestic manufacturing tax deduction. Companies that manufacture, produce, or extract oil and gas or any primary derivative receive a manufacturing subsidy provided that the product was made in the United States. But since removing this subsidy does not affect the production of oil, the subsidy does not significantly affect business decisions and eliminating the subsidy would not affect consumer prices. The subsidy is essentially a throwaway for oil companies. The tax expenditure is provided through a deduction for 9 percent of income, subject to a limit of 50 percent of the wages paid that are allocable to domestic production during the taxable year. The administration expects that eliminating this subsidy will produce budget savings of about $17.3 billion over 10 years. 6. Geological and geophysical expenditures. The Energy Policy Act of 2005 created this tax subsidy, which allows companies to deduct the costs associated with searching for oil, recovering the costs over a two-year period. The administration expects that scaling back the amortization period to seven years would produce budget savings of about $1.1 billion over 10 years. 7. Foreign tax credit. This credit is intended to prevent the double taxation of income that is taxed abroad but also subject to tax in the United States. Yet companies, particularly oil companies, have managed to exploit this subsidy even when they don’t pay income taxes abroad. In total, adjusting the rule would prevent companies from avoiding about $8.5 billion in taxes over a 10-year period. 8. Enhanced oil recovery credit. Companies receive a 15 percent income tax credit for the costs of recovering domestic oil when they use “enhanced oil recovery” methods to extract oil that is too viscous to be extracted by conventional primary and secondary water-flooding techniques. The EOR credit is nonrefundable and is allowed if the average wellhead price of crude oil (using West Texas Intermediate as the reference) in the year before the credit is claimed is below the statutorily established threshold price of $28 (as adjusted for inflation since 1990) in the year the credit is claimed. Oil prices in fiscal year 2006 were too high for companies to receive this subsidy, but the subsidy remains in existence. Its elimination is not expected to produce budget savings. 9. Marginal well production. This provision provides a subsidy for oil and gas produced from certain types of oil and gas wells. These wells include those that produce heavy oil and those with an average production within a statutorily specified range. Oil prices were too high for companies to receive this subsidy in fiscal year 2006, but the subsidy remains in existence. Its elimination is not expected to produce budget savings. The total government savings from eliminating these subsidies is projected to be $45 billion over 10 years. Sima J. Gandhi is a Senior Policy Analyst with the economic policy team.